The Out There Chamber Choir is a smaller choir and entrance is by audition. We concentrate mainly on classical, folk and jazz music. 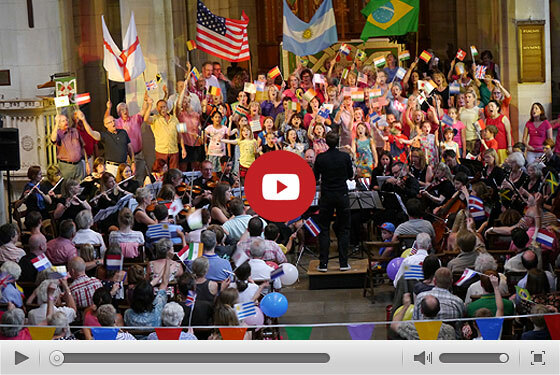 At the heart of OTM Bristol are two large and lively community choirs that are open to absolutely everyone. 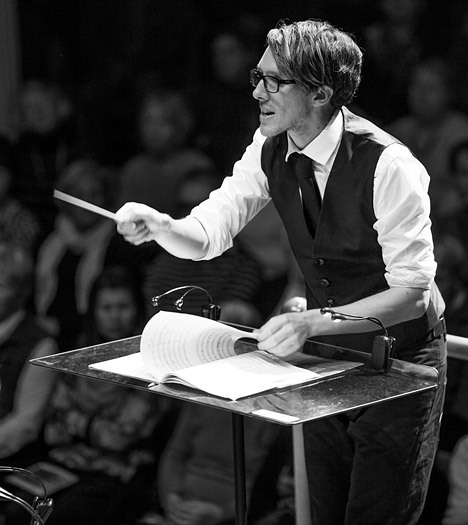 The OTM Bristol Orchestra is open to anyone above the age of 12 and no audition is required. Out There Music Bristol is a unique composition of choirs and orchestras based in Bristol and founded by musician Tom Jones. OTM North and South Bristol Community Choirs, Chamber Choir, Orchestra and Children’s Choir are all ensembles within the OTM Bristol family. New members welcome! Tom began his musical life playing the trumpet at the age of 8 and during his formative musical years he held the principal trumpet position in all his local County Orchestras. Before going on to study at the Guildhall School of Music and Drama in London he played in the National Youth Orchestra of Great Britain for a year. He has studied with some of the country’s finest trumpet teachers including John Miller and Anne McAneney while attending Guildhall School of Music and Drama and subsequently with Paul Archibald. OTMB Christmas 2018 Here We Come! Out There Music is an education as well as a delight, and Tom Jones is a wonderful teacher as well as musical director. It takes tremendous skill to handle such a range of voices and abilities, playing and singing along, and keeping all of them in mind. So when I am not singing myself or listening to others sing, I am marvelling at how he does it. The whole thing is an inspiration – musically, socially and personally. North Bristol Community Choir member, National Teaching Fellow and Emeritus Professor of English. Choir is one of the highlights of the week and Tom is really cool and fun. The concerts mean a lot to me because we sing with a whole orchestra and it sounds amazing! Also I love my family coming to watch me. I feel really proud. Thank you so much for another fabulous term. I am so busy with work that it is rare for me to be able to find the time for other things in term time but I haven't missed a single rehearsal or performance since the south Bristol choir started. It's perfect as far as I'm concerned. Tom is a brilliant musician and teacher and incredibly inspiring. And the vibe suits me. Thank you so much for creating the best thing to have happened to Totterdown! Dear Tom, I just wanted to say a huge thank you for giving me the opportunity to sing last Sunday. I think it was without doubt one of the highlights of my life - truly uplifting and I know that all my friends who came thought it was wonderful. Thank you so much for all of your hard work! Luna loved it and it was so wonderful to see her performing so happily and confidently with such a big choir and orchestra. Amazing! I just want to say well done and thank you on what my family and I thought was a most enjoyable concert. My kid’s favourite piece was ‘Singing in the Rain’! It was super playing at St George’s, especially the Nimrod and I am very glad Tom was able to turn around and see the glow sticks; the audience had a great sense of rhythm! Tom, thank you so much for such a wonderful concert at St George’s last night. It was an amazing experience and I hope you are feeling proud of what you have achieved!